Girls u16 Gaelic Football Update. 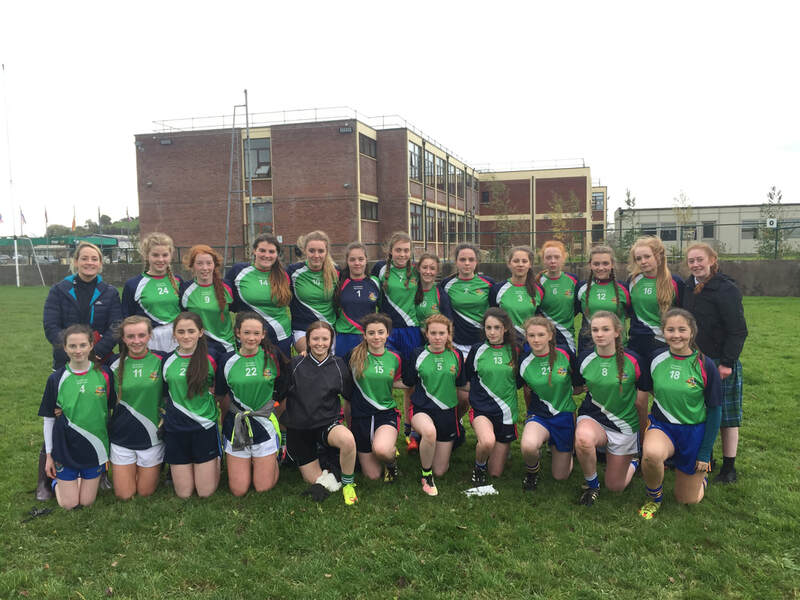 The girl’s u16 Football team played the second game in their Ulster U16C league. St Aidan’s started well with points from Ciara Fitzpatrick and Sarah Clarke. It Finished 1.01 to 1.05 in favour of St Aidan’s at half time. Ciara Boyle won the throw up and fed a nice ball into Leah Cosgrove who got the second half scoring underway. Our girls showed class in the second half to finish the game out 1.06 to 4.08 in favour of St Aidan’s. A super performance again came from Sophie Murphy first year in goal saving our full back line on a few occasions. The next game will see St Aidan’s play a strong Loreto College side next week. So far the girls have drawn their first game against Virginia College and won their second game today against Breifne College. Good Luck against Loreto. The U16 girls Gaelic team started off their campaign in the U16C Ulster competition on Tuesday the 10th of October against Virginia College at home. Leah Cosgrove got the scoring off to a great start with a goal and then a free. Ciara Fitzpatrick and Leah again followed closely behind with two more sharp goals to end the first half 3.2 to 1.7 in favour of Virginia College. However St Aidan’s started the second half with a point to prove with two more goals and 5 points putting us into a 6 point lead at one stage but it was not meant to be. Virginia College never gave up and won a penalty with one minute left. The penalty was converted and they won the next kick out to get a last gasp goal to finish the game on a draw with the result 5.7 to 3.13. The girls will play Breifne College after Halloween. Well done to Sophie Murphy 1st Year who played her first game for St Aidan’s and to Leah, Ciara and Sarah who had great performances. The first half started well for St Aidan’s in their home pitch. Goals from Leah Cosgrave and Megan Shields got us off to a flyer. Some superb points came from Ciara Bannon, Ciara Boyle, Leah Cosgrave, and Megan Shields. The score at half time read 2-6 to 2-1 in favour of St. Aidan’s. With it all to play for, Colaiste Choillmcille (Ballyshannon) came out of the tracks quicker after the break. The game ended 5-5 to 3-10 leaving us just short of the win. We hit the cross bar and had many chances but unfortunately it wasn’t our day. Best wishes to the team in the next few games.